Last Saturday I did my usual: Hulu binged on some BravoTV show. As the evening approached, I felt the need to get out of the apartment — the need to dance, that is. With all this talk about snow and cold temps, you would think this would deter me of wanting to head to Boise on a Saturday night. Nope, not at all. Get some fresh air and an excuse to put on my dancing shoes. Fatty’s is located on 8th Street, near Pie Hole, on the 2nd floor. Lately, this has been my warm-up/ starting point. 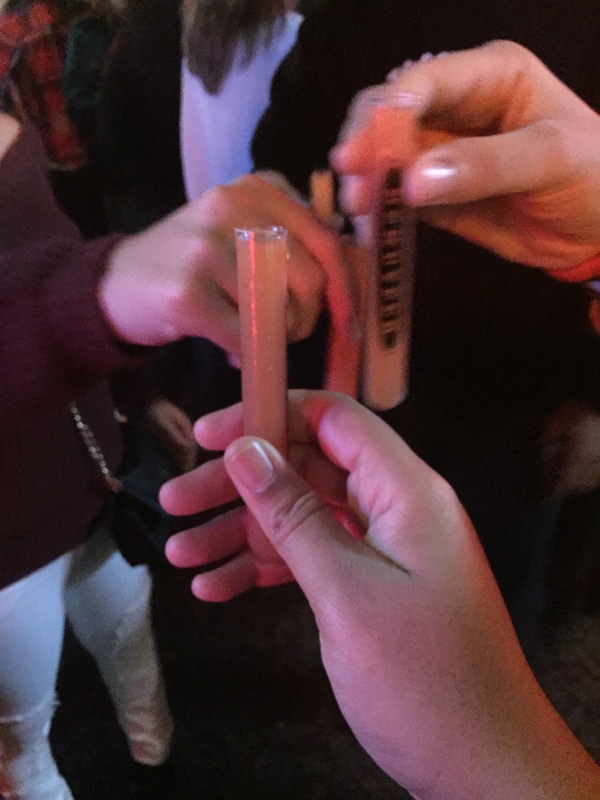 When I start my night, I usually check out Fatty’s drinks specials (fireball shots, anyone? ), grabs some shots, head to the dance floor, and start vibing to the music. 1. Check out the stripper pole. Yes, there’s a stipper pole surrounded by 2 couches. If you feel so inclined to show off your Magic City moves (ladies) or Magic Mike skills (men), by all means go ahead and abuse that pole! 2. 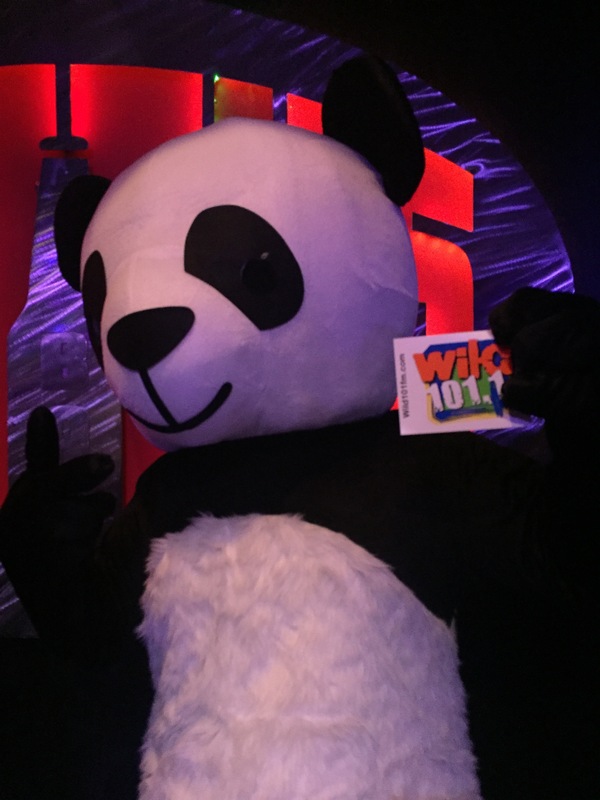 Don’t miss your chance to meet the Fatty’s panda. He fittingly pops up when the DJ drops Desiigner’s “Panda.” Crowd usually goes crazy for Mr. Panda. Make sure to snap a photo with him. 3. It’s for all ages. Let’s say you’re just coming from a Steelheads game. Head over to Fatty’s to end the night by hanging by the bar. Date night? 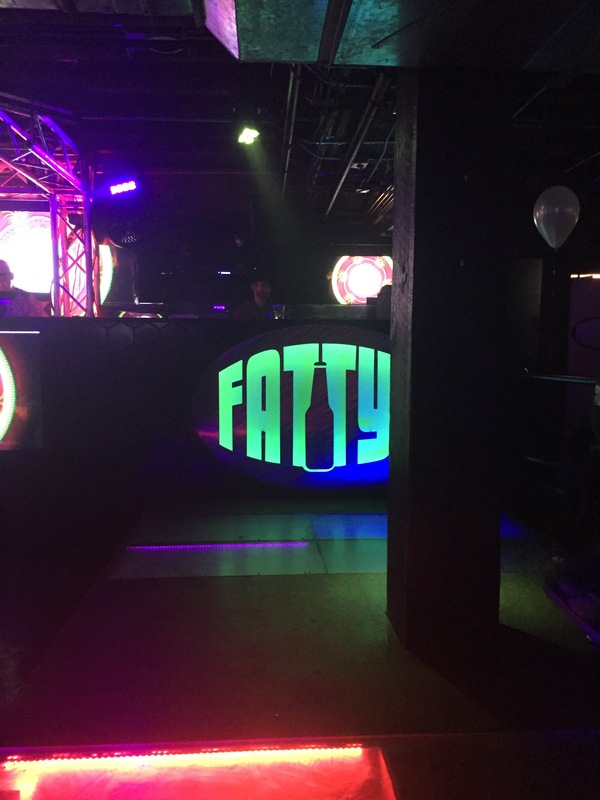 Fatty’s is ideal because it has private booths to sit in, bar stool tables, a pool table. You can find places to talk in Fatty’s. Girls’ Night Out? Yes, also ideal. I scanned the crowd, and I can see all demographics and age groups. After warming up a little bit at Fatty’s, I made the walk over to China Blue. China Blue is a 2-story dance floor on the corner of Main Street and 6th Street. Once you get carded and walk thru the curtains (yes, there are curtains), you’re greeted with vibrant bar. Once you take a right, you can either checkout the main dance floor, or you can head upstairs for more intimate setting. Embracing your dancing shoes. The DJ normally plays a mix of hip hop and top 40 hits. Sometimes, I wish the DJ would let certain hip hop/rap songs play out. He usually mixes a hip hop song with some techno version. Maybe it’s the Floridian in me, but if you’re feeling a good hip hop song, changing gears isn’t always what the crowd wants. Make it a Girl’s Night/Guy’s Night Out. China Blue is ideal for a large group for a variety of reasons: 1) you can all chip in for VIP section; 2) you can dominate the dance floor; and 3) you have your fair share of wing(men/women). Checkout the outside deck. Although it’s reserved for smokers, and if you can handle the smoke, I encourage you to checkout outside. Nice view of downtown Boise, a few comfy seats, and a warm fire pit. Bonus is the Ladies bathroom. It’s its own mini lounge! It has modern sinks, a coat check, seats, large mirrors — ideal for outfit check, selfies, and SnapChats. Oh, did I mention they have “Make It Rain” Friday? Yes, dolla dolla bills are dropped from the 2nd floor to the ground. Confetti is simultaneously released into the crowd as the money drops. When does China Blue make it rain? Friday nights. Not many words can describe Humpin’ Hannah’s. But I’ll try. I first visited a couple of months ago for a Meetup group event. It reminded me of a dive bar I used to visit with my classmates in law school in Maine. From the decor to the music, it’s your ideal place to get to dance, play pool, and enjoy you night out in the BOI. Be close to Rocci Johnson when she & her band performs. Rocci is a staple in the Boise community. Her band covers all type of songs, from rock & roll to pop hits. She’s also known for giving away adult toys! Let her know it’s your birthday, bachelorette party, or any special occasion, and she’ll spoil you! Go early. To my surprise (which now is no longer a surprise given Humpin Hannah’s has been ranked #1 as Treasure Valley’s Best Dance Club), there’s a line to get in. That said, pay attention to who is in front & whether people skip the line. You will find a dancing partner. Don’t worry if it’s you and a few friends. You will eventually be asked to dance & have a dancing partner. The dance floor is usually packed to capacity, with a large screen for music videos as the song plays. It’s a recipe for the ultimate dancing experience. Whether you’re dancing with a group of girls, a group of guys, or someone on an intimate level — you will be dancing with someone by the end of the night! If you’re not really into the whole dancing-all-night thing, Hannah’s has plenty of places to sit (upstairs and downstairs). You can enjoy all the people watching too. You can also enjoy a game of pool with your friends. So that was my #boisebucketlist night out! I have plenty more clubs and bars to try out and feature. 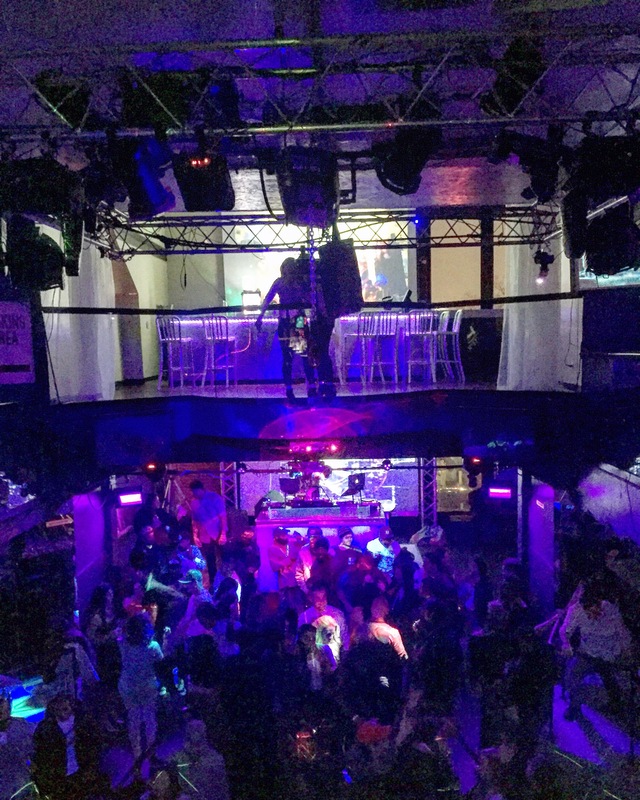 Once I do, I’ll have my top 5 nightclubs which should be on your #boisebucketlist. Mini Stalker. OK, this is pretty funny but also not. I was recognized at Humpin Hannah’s by someone from when I went out with my sister during Thanksgiving holiday. This person is drastically shorter than me (5 inches shorter). His aggressive nature was tolerable when I was at Humpin’ Hannah’s. He must have followed me to China Blue because not even 5 minutes in China Blue, I see mini stalker. He comes up to me without hesitation and tries to grab me. My patience wore thin at this point, and I forcely told him to stop. Thankfully, it didn’t need to be escalated. Side note: Although I consider this something funny, please don’t take an aggressor lightly. I commend all the security guards at the bars/nightclubs I’ve visited here in Boise. These men are there to help diffuse and prevent a situation in the nightclub. In my case, if this mini stalker kept harassing me, I would have no problem going to one of the security guards and advise them of this guy’s behavior.